Somehow we are going to 300! In the firstt post we added the link. We are 331 now waow. I think your misunderstanding a bit. What you showed in your video is Arthur's gloves which you swapped John's oversized gloves out for. John's gloves are meant to be even smaller than Arthur's. No need to swap to another pair of gloves. I think your misunderstanding a but. What you showed in your video is Arthur's gloves which you swapped John's oversized gloves out for. John's gloves are meant to be even smaller than Arthur's. No need to swap to another pair of gloves. So there was a third version of the black gloves in 1.0 version of the game? Can you show me? I already did. The gloves from the 1.0 version of the game were replaced with the massive ones he wears now. How can i unpatch my game without deleting and reinstalling it? I dont understand why rockstar decided to change his gloves or it was by mistake? Only way to unpatch the game is delete it unfortunately. It only works on PS4 due to Xbox not letting the game launching without an update. I also wish they didnt remove all Johns outfits which he wore as npc. You guys think they will add option to remove off hand holster in future patch? Yeah, I also don't get why didn't R* include all the clothes he wore as an NPC. All of it should be f*cking easy, instead they remove swimming for the sh*ts and giggles and "continuity" reasons and not at least just enable it when you pass the story. this is an interesting approach although still a shame.. he probably doesn't have the clothes he was wearing as NPC for the same reason. I Hope we can do this too via save editor soon. Does anyone know the guy who created the save editor? 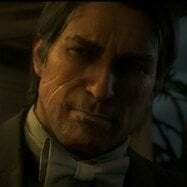 What you said makes sense in epilogue 1, but in epilogue 2 John stops running and even uses his real name to buy Becher's Hope, so it would make sense that he could use his hair instead of Arthur's. 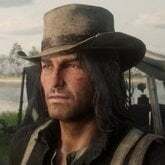 This bothers me a lot, as it looks like a generic copy of Arthur with black hair rather than looks like the iconic John Marston. Not to mention that in official epilogue screenshots he has his standard hair and in screenshots of missions (I'll send this one in annex) and even in a scene in the own game in which he writes a letter to Abigail, appears a flashback scene of him and the Charles raising the chimney where he has the correct haircut (attached too). You see, John without his hair does not look like John and it takes away all our immersion. We have a page in gtaforums with 8 pages already arguing about this and a petition with more than 300 signatures already. 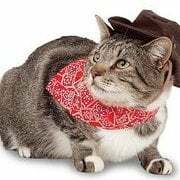 It would help a lot if they added through an update"
Thank you for returning with us and we greatly regret the problem of John Marston's haircut. We would first like to thank you for reporting this issue and informing you that we have confirmed that this is already a problem known to Rockstar developers. They are working to get this fixed as quickly as possible. However, we at Rockstar Support are not able to provide you with a deadline right now. We would first﻿ like to thank you for reporting this issue and informing you that we have confirmed that this is already﻿ a problem known to Rockstar developers. They are working to get this fixed as quickly as possible. However, we at Rockstar Support are not able to provide you with a deadline right now.